Clinic Synopsis: For decades, the Big Ten Conference has been home to some of the finest schools of music in the world, and integral to the success of these schools of music are world class band departments which have produced some of the finest conductors and educators in the history of the band profession. This session is part two of a series featuring Legends of the Big Ten in a panel discussion with emeritus faculty from Big Ten institutions. This year’s session features Kenneth G. Bloomquist, Michigan State University; James F. Keene, University of Illinois; and H. Robert Reynolds, University of Michigan. The decades of experience from each panel member will serve as a backdrop for an insightful discussion about the band profession, trends in band and music education along with fun memories and stories from more than 100 years in the profession. Mark Heidel, Director of Bands at the University of Iowa, will serve as moderator. Clinician Biographical Information Richard Mark Heidel is Director of Bands in the School of Music at the University of Iowa where he conducts the Iowa Symphony Band, teaches graduate courses in conducting and wind band literature, guides the graduate band conducting program, and oversees the University of Iowa band program. Ensembles under Dr. Heidel’s direction have performed at state, regional, and national conferences including those of the College Band Directors National Association, Music Educators National Conference, Wisconsin Music Educators Association, Illinois Music Educators Association, National Band Association-Wisconsin Chapter, and Iowa Bandmasters Association. He has also led concert tours to Ireland and England as well as throughout the Midwest. 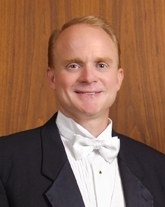 A native of Texas, Heidel holds the Bachelor of Music Education and Master of Music in Conducting from Texas Tech University in Lubbock, Texas as well as the Doctor of Education in Music Education from the University of Illinois at Urbana-Champaign. His principal teachers include James F. Keene, James Sudduth, Gary Smith, Keith Bearden, Donald Schleicher, John Grashel, and Eunice Boardman. Prior to his appointment to the University of Iowa faculty in 2008, Dr. Heidel served as Director of Bands at the University of Wisconsin-Eau Claire, Shippensburg University of Pennsylvania, and as a teaching assistant in the School of Music at the University of Illinois at Urbana-Champaign. In addition to his university teaching experiences, Heidel was a high school band director in Texas for nine years. Dr. Heidel has been distinguished with memberships and honorary memberships in numerous national and international honor societies and fraternities including Phi Mu Alpha Sinfonia, Sigma Alpha Iota, Tri-M Music Honor Society, Pi Kappa Lambda, Kappa Kappa Psi, Phi Eta Sigma, Phi Kappa Phi, Kappa Delta Pi, Pi Nu Epsilon, and Golden Key. He was the recipient of the Outstanding Musician award at Texas Tech University in both 1985 and 1986, and in 1997, he received the A. A. Harding award at the University of Illinois for the “highest possible achievement, service, and devotion to the University Bands.” In 2002, Dr. Heidel was named to “Who’s Who Among America’s Teachers,” and in 2003 and 2011, he received the Citation of Excellence from the Wisconsin Chapter of the National Band Association. In 2005, he was initiated into Sigma Alpha Iota as a National Arts Associate, and in 2008, he was elected to membership into the prestigious American Bandmasters Association. In 2012, Dr. Heidel was honored with a Collegiate Teaching Award by the College of Liberal Arts and Sciences at The University of Iowa. 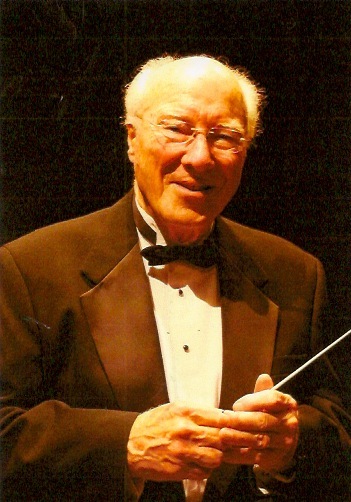 Second Clinician Biographical Information H. Robert Reynolds is the Principal Conductor of the Wind Ensemble at the Thornton School of Music at the University of Southern California where he holds the H. Robert Reynolds Professorship in Wind Conducting. This appointment followed his retirement, after 26 years, from the School of Music of the University of Michigan where he served as the Henry F. Thurnau Professor of Music, Director of University Bands and Director of the Division of Instrumental Studies. In addition to these responsibilities, he has also been, for over 30 years, the conductor of The Detroit Chamber Winds and Strings, which is made up primarily of members from the Detroit Symphony. Robert Reynolds has conducted recordings for Koch International, Pro Arte, Caprice, and Deutsche Grammophon. In the United States, he has conducted at Carnegie Hall and Lincoln Center (New York), Orchestra Hall (Chicago), Kennedy Center (Washington, D. C.), Powell Symphony Hall (St. Louis), Academy of Music (Philadelphia), and Disney Concert Hall (Los Angeles). In Europe, he conducted the premiere of an opera for La Scala Opera (Milan, Italy), and concerts at the prestigious Maggio Musicale (Florence, Italy), the Tonhalle (Zurich, Switzerland), and at the Holland Festival in the Concertgebouw (Amsterdam, Holland), as well as the 750th Anniversary of the City of Berlin. He has won the praise of composers: Leslie Bassett, William Bolcom, Aaron Copland, John Corigliano, Henryk Gorecki, Karel Husa, Gyorgy Ligeti, Darius Milhaud, Bernard Rands, Gunther Schuller, Karlheinz Stockhausen, and many others for his interpretive conducting of their compositions. Robert Reynolds has been awarded an Honorary Doctorate from Duquesne University, and in addition, holds degrees in Music Education and Performance from the University of Michigan where he was the conducting student of Elizabeth Green. He began his career in the public schools of Michigan and California before beginning his university conducting at California State University at Long Beach and the University of Wisconsin prior to his tenure at the University of Michigan. He received the Citation of Merit from the Music Alumni Association of the University of Michigan for his contributions to the many students he has influenced during his career and the Lifetime Achievement Award from the Michigan Band Alumni Association. He is also an Honorary Life Member of the Southern California School Band & Orchestra Association. Professor Reynolds has received the “Lifetime Achievement Award” and is Past President of the College Band Directors' National Association as well as the Big Ten Band Directors' Association. He has received the highest national awards from Phi Mu Alpha, Kappa Kappa Psi, Phi Beta Mu, the National Band Association, and the American School Band Directors’ Association, and he was awarded the “Medal of Honor” by the International Mid-West Band and Orchestra Clinic. He is the recipient of a “Special Tribute” from the State of Michigan, and he served for many years on the National Awards Panel for the American Society of Composers, Authors and Publishers (ASCAP) and in 2001 received a national award from this organization for his contributions to contemporary American music. He is also listed in the New Groves Dictionary of American Music, and his frequent conducting appearances have included (among others) the Eastman School of Music, New England Conservatory, Oberlin Conservatory, Northwestern University, Manhattan School of Music, the Tanglewood Institute, and the Detroit Symphony Orchestra. Third Clinician Biographical Information James F. Keene retired from the University of Illinois in 2008, where he held the titles of Director of Bands and Brownfield Distinguished Professor of Music. Appointed in 1985, he was only the fourth to hold the Director of Bands position since 1905. During his 23-year tenure at Illinois, the Symphonic Band and Wind Symphony, under his direction, were selected to perform for every major music conference in the U.S., toured throughout the U.S. and Europe, and performed in several of America's most prestigious concert halls including several appearances at historic Orchestra Hall in Chicago, as well as Carnegie Hall and Lincoln Center in New York. His ensembles have produced an extensive recording series on several labels. These recordings have been broadcast on National Public Radio in the U. S., as well as such diverse places as the United Kingdom, Tokyo, Warsaw, Tel Aviv and recently on Vatican Radio. Prof. Keene is Past-President of The American Bandmasters Association and a Past-President of The National Band Association. Additionally, he was a member of the Board of Directors of the historic Goldman Memorial Band of New York City as well as a frequent guest conductor. For several years he was chairman of the ABA/Ostwald Composition Contest and was a member of the Editorial Board of The Journal of Band Research. Currently, he serves as Trustee of the Foundation for Music Education and serves on the Board of Directors of the John Philip Sousa Foundation. In addition to membership in several professional and honorary societies, Prof. Keene is an Evans Scholar, Past-President of the Champaign Rotary Club, and a Paul Harris Fellow of the Rotary International Foundation. In 1993, he was named honorary member of the Board of Directors of the International Percy Grainger Society and was presented with the coveted Grainger Medallion in recognition of his noted performances of Grainger's music on four continents. In 2002, he was named Honorary Life Member of The Texas Bandmasters Association, only the fifth person so honored in their 65 year history. In 2009, he was installed into the Bands of America Hall of Fame in Indianapolis, Indiana. In December, 2013, Professor Keene was honored at the Midwest International Band and Orchestra Clinic in Chicago as International Outstanding Bandmaster of the Year by Phi Beta Mu, honorary bandmasters fraternity . Professor Keene earned undergraduate and graduate degrees from The University of Michigan, where his major professors included Dr. William D. Revelli, Elizabeth Green and Larry Teal. Previous to his appointment at The University of Illinois, Professor Keene taught at all levels, including building nationally recognized programs at East Texas State University (now Texas A and M- Commerce) and at The University of Arizona. He continues to be in constant demand as conductor, clinician, and adjudicator of bands and orchestras, appearing in those capacities in forty-four states and on four continents. 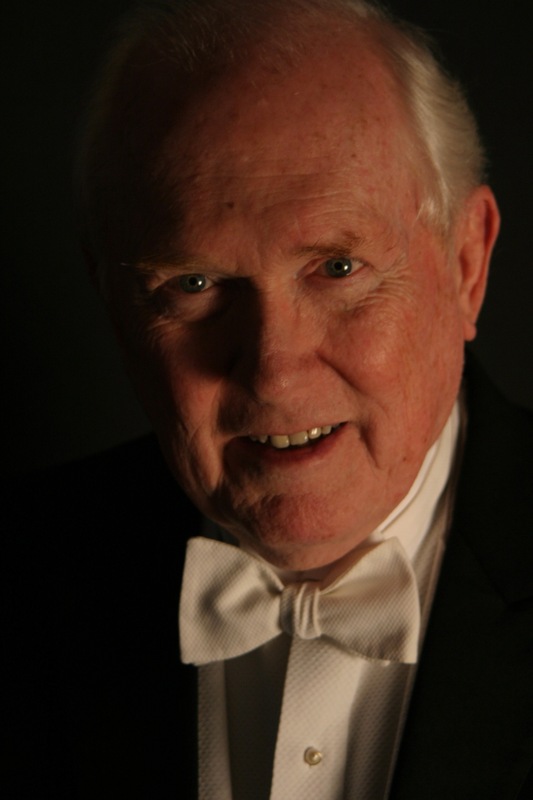 In 2014-15, Professor Keene is scheduled to conduct in Australia, China and Europe in addition to a busy schedule of appearances throughout the U.S.
Fourth Clinician Biographical Information Kenneth G. Bloomquist is an Emeritus Professor of Music from Michigan State University. Professor Bloomquist joined the MSU faculty in 1970 as a Conductor and Director of Bands. He was asked to become the Director of the School of Music at MSU in 1978 and served in this capacity through 1988. He was both the Director of the School of Music and Director of Bands in 1987-88. He gladly returned to be the Director of Bands in 1988 and served in this capacity until his retirement in 1993. Degrees were earned at the University of Illinois and his experience includes one year of teaching in the public schools (1957-58), Professor of Music at the University of Kansas as Professor of Trumpet and Assistant Director of Bands (1958-68) and Director of Bands (1968-70). Professor Bloomquist served in the United States Army (1953-55) where he was a trumpet player and band director. Significant among his many publications are “The Anatomy of a Rehearsal,” in five parts, published by The Instrumentalist, 1981; “School Band Movement Phase II,” Gemeinhardt, 1982, and “Pedal Tone Study for Trumpet,” published by the Getzen Company. Conducting, Rehearsal, and Adjudication Seminars have been given at National Conferences and Universities throughout the United States and at several locations in Southeast Asia and Europe. Several Honors have been bestowed upon Professor Bloomquist which include induction into the Hall of Fame for Distinguished Band Conductors – 2003, the Medal of Honor Award from the International Midwest Clinic in Chicago – 2004, the American School Band Directors Association Harding Award – 1994, the Phi Mu Alpha Sinfonia Orpheus Award, the National Band Association Citation of Excellence and induction into the National Band Association’s Academy of Wind and Percussion Arts and many more. Professor Bloomquist has appeared as guest conductor, clinician and adjudicator throughout the United States, Europe, Scandinavia, Southeast Asia, Japan, Australia, and Mexico. He started the Northport Community band in 1998 as a year-round community band and served as its conductor through 2008. Since 2002 he has been very active conducting adult community bands with members from all the states that perform on cruise ships touring in the Caribbean and Hawaii. The MSU Alumni Band, which he started in 1971, is very active at reunions on the MSU campus and also as a touring Concert Band. As of 2013 they have enjoyed eight tours to Europe and one to Canada. He maintains an active schedule as a guest conductor, clinician and adjudicator throughout the world.